The outgoing bishop of Faisalabad is back to the city where he did his seminary studies and was first priest. On Wednesday, Benedict XVI named him archbishop of Pakistan’s southern metropolis. Speaking about his new posting, the prelate describes the demographic explosion and bursts of violence in this “multiethnic and multicultural” city. Faisalabad (AsiaNews) – “Karachi was a fairly peaceful city,” said Mgr Joseph Coutts as he remembered it from the time when he attended the local seminary to become a priest. It was “not subject to sporadic bursts of violence and terrorism, as it is now,” the newly appointed bishop added as he described the southern Pakistani metropolis, which is also the capital of Sindh province. Speaking to AsiaNews about the city, which he knows very well, he stressed its multiethnic and multicultural character, which will be the main challenges of his new pastoral posting. 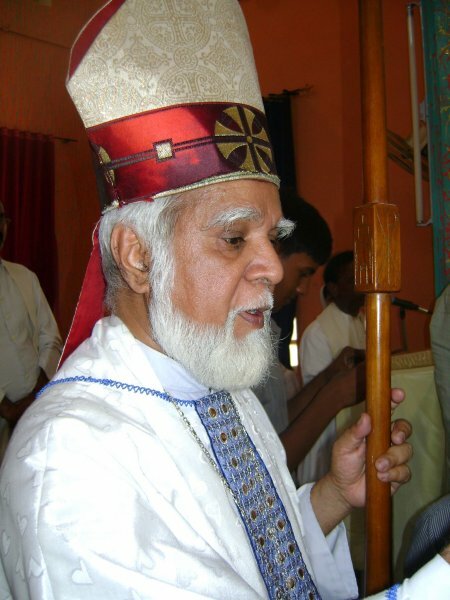 On Wednesday, Pope Benedict XVI appointed him as the new archbishop of Karachi, in lieu of Mgr Evarist Pinto, in place since 2002, who has reached the normal age limit. The 66-year-old Mgr Coutts was born on 21 July 1945 in Amritsar, British India. Since 1998, he headed the Diocese of Faisalabad, where he took the placed of Mgr John Joseph who killed himself in protest against the country’s blasphemy law. Following studies at Karachi’s Christ the King Seminary, he was ordained priest on 9 January 1971 in Lahore. After that, he completed ecclesiastical studies in Rome from 1973 to 1976, and then became professor of philosophy and Sociology at Christ the King Seminary in Karachi from 1976 to 1980. Appointed rector of St. Mary's Minor Seminary in Lahore, he was later elected as the Vicar General of Diocese of Lahore where he served from 1986 to 1988. On 5 May of that year, he was appointed bishop of Hyderabad. In this diocese, he defended the rights of landless farmers and was instrumental in creating the new Vicariate Apostolic of Quetta. After ten years of service in Hyderabad, he was transferred to the Diocese of Faisalabad on 27 June 1998. Thus, Mgr Coutts performed his episcopacy in three of Pakistan’s provinces, Punjab, Sindh and Baluchistan. As prelate, he opened avenues of dialogue with leading Muslim clerics and scholars in Faisalabad, and helped build bridges among the different communities. For his efforts, he was honoured in 2007 with the Shalom Prize by the Catholic University of Eichstaett-Ingolstadt in Germany for his commitment to peace and interfaith harmony in Pakistan. At present, he serves as president of the Catholic Bishops’ Conference of Pakistan and head of Caritas Pakistan. “But that was many years ago. Karachi was a fairly peaceful city then, not subject to sporadic bursts of violence and terrorism, as it is now. The population too has exploded largely because of refugees who have settled” in Pakistan’s southern metropolis.